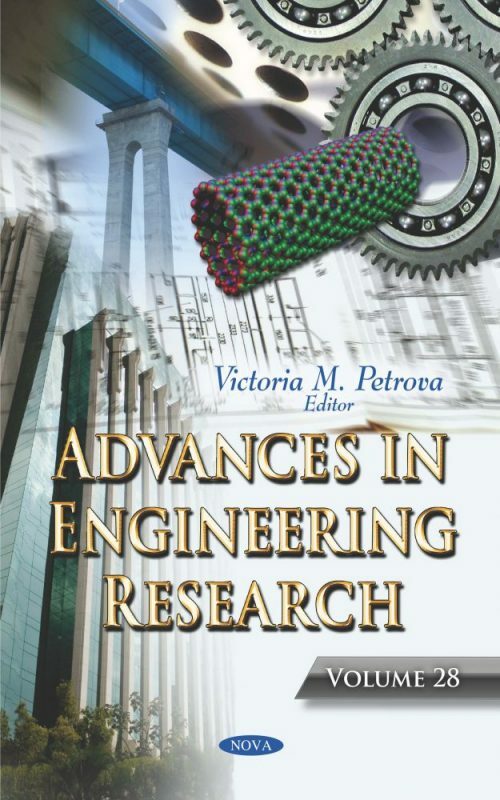 In Advances in Engineering Research. Volume 28, the authors describe the functional beam splitter that divides the incident beam into several derivative ones, simultaneously introducing the prescribed transformation of their transverse profiles. Recommendations for managing the diffracted beams’ profiles and their employment in precise metrology and optical vortices analysis are given. Unlike most engineered filtering systems, many naturally evolved biological filters have variable rather than fixed porosity. These include internal and external filters for feeding, as well as filters to capture waste particles. As such, this collection examines a prime example of a biological system with fluctuating porosity: the baleen filter of mysticete whales, which uses keratinous plates and hair-like fringes to capture prey of varying size. Next, the adaptive identification problem of dynamic systems with uncertainty is considered on adaptive observer class. A method is proposed for construction adaptive observers time-varying linear dynamic objects at non-fulfillment of condition excitation constancy. The authors also explore wireless sensor networks with common applications existing the real world. The benefits and challenges of the networks are discussed in an effort to overcome some constraints of energy limitation. A review of traditional data collection methods is provided with details. In closing, the algorithm for full rejection of the side lobes of a pattern antenna array at given azimuth angle points outside the main lobe area is considered. The structural diagram of the array is presented, and the efficiency of the suggested design has been investigated.